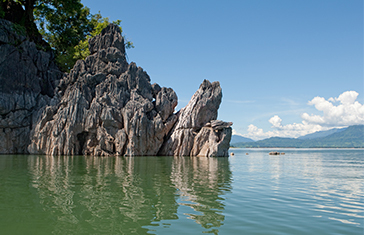 Adventure abounds on this action-packed journey through some of Laos’ most naturally beautiful and remote countryside and in amazing destinations, highlighted with thrilling activities of cycling, trekking, abseiling, ziplining, kayaking and rock-climbing. Arrive in the UNESCO World Heritage town of Luang Prabang. Positioned at the confluence of the Mekong and Nam Khan rivers and surrounded by verdant mountains, this ancient royal capital is considered the heart of Laotian culture and retains a unique ambiance. The afternoon and evening are free at leisure to explore Luang Prabang. The next morning, cross the Mekong River to Ban Xieng Man. Take time to explore this rustic village and sample the local delicacy of sticky rice and coconut milk simmered in a bamboo tube. Continue by bicycle to the Kamu ethnic minority village of Ban Houay Tay. 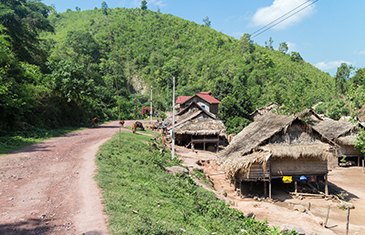 After lunch, trek past lush rice paddies and forests, occasionally traversing rivers, to reach the H’mong village of Ban Phou Luang Tai – our overnight stay. Enjoy a fascinating morning’s trek through verdant forests, heading to Ban Houay Pong, a Kamu ethnic minority village. Here, a delicious Lao lunch, home-cooked by a Kamu family, awaits. We then continue on to the village of Muang Kham. Afterwards, board a local boat back to Luang Prabang, just in time to watch a mesmerising sunset over the hills. Travel by local public bus from Luang Prabang to Vang Vieng, in Central Laos. The seven-hour or so bus ride makes it way up winding mountain roads, passing spectacular scenery of rugged mountains and jungle. We arrive in Vang Vieng in the late afternoon. Surrounded by mountains and nestled along the Song River, Vang Vieng is a rural idyll, popular for picturesque scenes of limestone karsts jutting out of rice paddies and spectacular rivers capes. 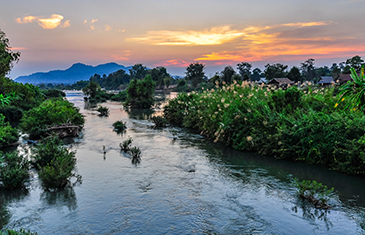 This charming town has also evolved as one of Southeast Asia’s most beautiful adventure destinations and premier spot for outdoor activities in Laos. The limestone walls around Vang Vieng have gained a reputation for some of the best rock climbing in Southeast Asia. Spend the day on an exciting rock climbing course, at one of two climbing areas that have recently been developed. These areas now offer a multitude of climbing options and routes, ranging from 5a to 8a+ on the official French rating system. 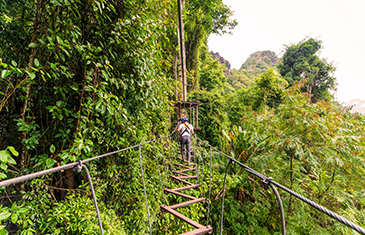 Spend another adventurous day in Vang Vieng’s natural outdoor playground. Embark on a trek through vivid green rice fields, occasionally traversing small streams and rapids. Hike over mountain ranges and valleys with some steep ascents, navigating a via ferrata (protected climbing route). This challenging but exhilarating journey is rewarded with spectacular views of the ethereal-like, karst scenery. Continue on, abseiling down a mountain face and 50m (164ft)-high waterfall. Afterwards, we overnight at a campsite, with an opportunity to sleep under the stars on a wooden platform, or in a rustic bamboo hut. Awake at the campsite, greeted with early morning views of wondrous limestone mountain scenery. We continue on with an action-packed morning spent ziplining down through the mountains and jungle, whizzing past towering tree tops and dramatic waterfalls. 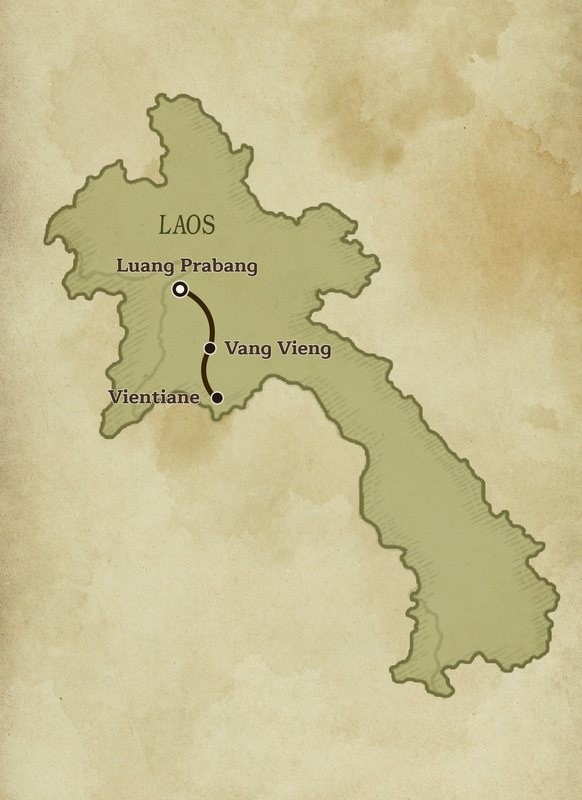 Trek the remainder of the way back to Vang Vieng, stopping en-route for a traditional Lao-style picnic lunch. Depart Vang Vieng for Vientiane. En-route, we make a stop for lunch at a floating restaurant and at Nam Ngum Reservoir, one of the largest man-made lakes in Southeast Asia, take a boat trip and visit local fishing communities. Continue on to Dong Mark Khai Market, where among the market stalls, insects sell as local snacks. We arrive in Vientiane, the Lao capital and a former French Indochina trading post. Nestled along a bend of the Mekong River, Vientiane exudes a laid back ambiance and old-world charm. Late afternoon and evening are free at leisure to explore Vientiane. Spend a full-day exploring the tranquil and verdant countryside surrounding Vientiane. We start with a leisurely bicycle ride along dirt trails, passing emerald-hued rice paddies, forests and rustic villages. We trade our bicycles for inflatable kayaks and commence leisurely paddling along the Mekong River, which eventually flows into the centre of Vientiane. Transfer to Vientiane’s Wattay International Airport for your onward flight. Explore Cambodia in-depth, from charismatic capital Phnom Penh to Siem Reap, gateway to Angkor’s spellbinding ancient temples. In between, experience trekking and camping adventures in off-the-beaten-track, wildly beautiful countryside. Journey to one of the more remote regions in Southeast Asia and immerse yourself in a fascinating world rarely seen by outsiders. Travel low-key and slow by bicycle, kayak and foot to experience an authentic rural Cambodia, capped with exploring cultural wonders, the Angkor Wat Temples.